Looking frail but determined and wearing an elegant acid green silk dress, the 83-year-old justice used a crib sheet as she read off a series of qualifications that sounded very much like requirements for high political or judicial office. Her deadpan delivery was boosted by a microphone, and laughter from the audience occasionally drowned her out. 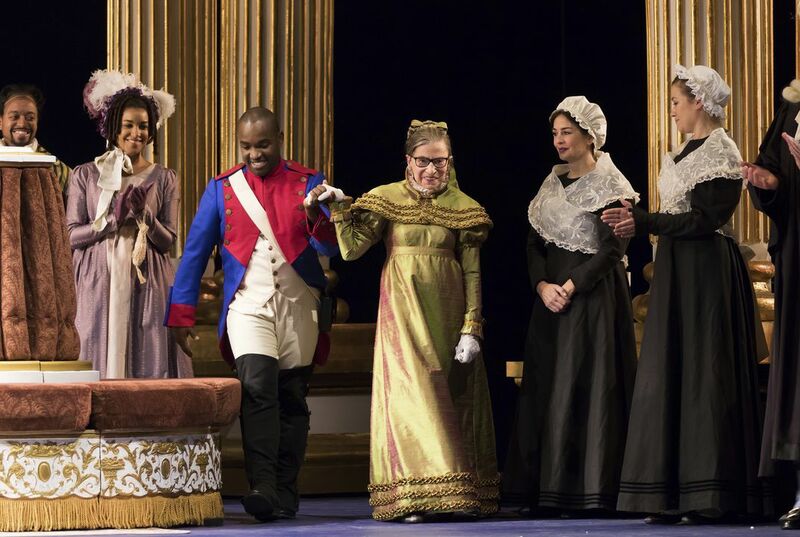 Ginsburg herself wrote her dialogue, in collaboration with Kelley Rourke, dramaturg for the Washington National Opera, which is presenting a new production of the opera. In the original version of "La Fille du Regiment," as it is known in French, the duchess has little dialogue. But the role is often taken by comedians or aging singers. They sometimes improvise their own lines. After Ginsburg's first scene, she was escorted off stage, and many in the house gave her a standing ovation. But she was back again near the end. This time, she was brought in by a servant in a white powdered wig of the type worn by British judges. Hearing that Marie has decided to marry Tonio instead of the duke, she exclaimed, "Quel scandale!." Then the justice retreated to a chair, fanning herself vigorously until the curtain fell. because everyone needs a chance and an equal opportunity. In response to "Supreme Court justice debuts in opera," I agree that she is the most influential and revered woman in American life . One reason I agree is that I know that she has accomplished a lot. Another reason is that Bill Clinton appointed her as supreme court justice and Clinton was my favorite president since Lincoln and Washington. It says in the article " But the justice declined to do more than opening night, citing her 'day job.'" That made me giggle a little because she is referring to her job as supreme court justice. A third reason she is the oldest supreme court justice at the age of 83 and still going. 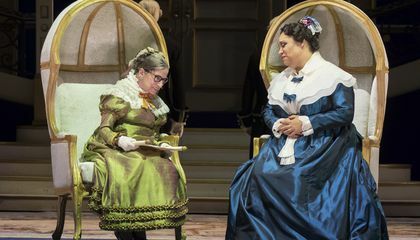 Even though she is 83, I think she did great as the Duchess of Krakenthorp in Donizetti's "The Daughter of the Regiment".